There's something so addictive about using your hands to make this type of craft. 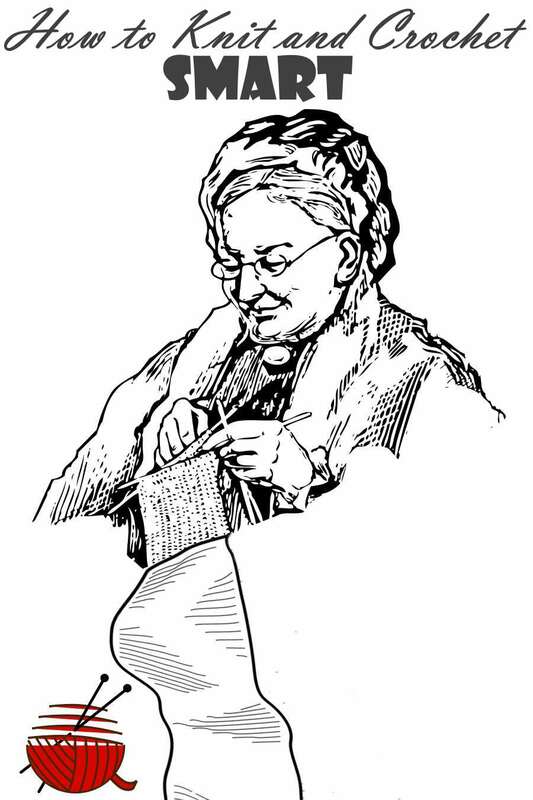 You've seen the cartoon about someone knitting a scarf, which ends up really long? Once you begin a project, it's easy to pick it up in every spare moment, while you're watching TV, or chatting, on a plane or a bus, or even on lunch hour at work. How to knit or crochet smart? Just remember, even the most glamorous garments are made with basic techniques. You do not necessarily need to follow someone else's instructions. Design your own project. It is not as difficult as it seems. This website helps you to solve a variety of design and "how to do's" problems while you are planning to implement your new, creative idea into a real scarf, hat, doilies or even a sweater or dress. Have you ever been faced with one or more of these common situations? You are very proud of that new gorgeous doily which you crocheted last week. It looks perfect. The only thing bothers you. It does not lay flat on the surface. Why doesn't it? You have a description of a beautiful sweater. It is exactly your size; everything looks the way you would like to. You take the recommended brand of yarn, the very same size of needles and decide to check a pattern gauge. Alas... It does not match the one in the description. What now? You are going to crochet a dress for your 3-year-old daughter. There is a nice one in your favorite magazine. But it says "for 2-year girl." It does not look as if it's going to fit. You like that dress! What should you do to change the size? You decided to crochet a shawl of motifs for your Mom. She liked the one you showed her at some web site, but she would prefer to have it not that lacy and from thicker yarn. You crochet a motif sample or swatch (always recommended). It is twice as large as the one in the description! What do you do now? There is a hope for you to find solutions of similar problems on this site. The advice is based upon my hard-learned experience accumulated during more than 30 years of knitting and crocheting projects. To use the information presented here, you don't need to be a very skilled master. Most of the glamorous and festive projects can be made with the simplest possible patterns and basic techniques. So how do we do that smart approach? Many answers can be found in this "HOW-TO-DO" site. The information is now in your hands. Follow the step by step instructions and patterns - or be creative; the choice is yours. Once each hand does its job, the yarn cooperates and your work starts to look like a real masterpiece, you can relax and enjoy the process. Your dreams become true! Still did not finding what you're looking for? Check the Navigation Bar at the top or search with the search bar below the header image. Note from Dina. English is not my native language. I try hard to make it decent, but if you find some possible mistakes or difficult to understand phrases, please let me know. I appreciate your feedback. Why my English ain't perfect?! -:) "Correct my English", please.